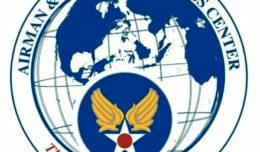 We are asked to internalize the Air Force core values from the onset of our careers. And as we progress through the ranks, despite what life puts in our path, we are reminded to not only internalize them, but epitomize them. Regardless of your status as a basic trainee or chief master sergeant, we have an official mantra as to how we conduct ourselves. Have you ever wondered if the quest for military ethical fulfillment becomes easier with time and experience? The late American psychologist, Lawrence Kohlberg, suggested a theory of stages of moral development. His theory holds that moral reasoning, the basis for ethical behavior, has six identifiable developmental stages, each more adequate at responding to moral dilemmas than its predecessor. Kohlberg also proposes the stages may not be skipped, but does not assign an arbitrary timeline for development. The journey through moral development can take a lifetime for some. However, in our profession we indoctrinate Airmen in basic training. The goal is to inspire cooperation and instill collectivist values across a backdrop of individualist behaviors more common in today’s society. In our profession of arms, the key to progressing to the higher stages of moral development is through pride, professionalism and passion. Pride because there has never been a generation of service men and women so praised and appreciated than today’s warfighters. The impact of our involvement around the globe can be undeniably tied to every Air Force specialty code. Professionalism is the cornerstone of our calling as Airmen who freely commit to give our lives for the greater good of this nation. Demonstrating professionalism in the execution of our duties reinforces the commitment we share to this nation and each other. Passion provides the conduit to inspiration and forms a pathway to reconciling Kohlberg’s developmental stages with our core values. 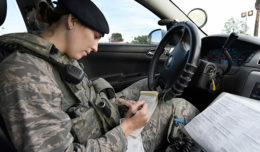 Regardless of rank or experience, the flames of passion for military service will serve to harmonize your actions with the core values and enable the Air Force to meet tomorrow’s demands. Assign pride, professionalism and passion as your keynotes to ethical maturity, and the core values will resonate through your actions with little effort.